ibex is an innovative customer engagement firm, developing disruptive new technologies and practices to help major brands acquire, engage, and support their customers. The portfolio of Digital Design Lead James Holledge, showcasing examples of digital and web design, UX and UI work across a variety of industries. Need one page website for agency? or portfolio? or even for blog ? then this guy deft is one for you, has great capability to create a complete website in just one page, and comes with awesome features like Custom Google Maps, Adorable Animations, Ajax Navigation, One click Demo installer. Evoulve is a digital technology innovation Company. We focus on designing innovations in digital technology industry, and transform emerging ideas into viable products that move the digital industry forward. 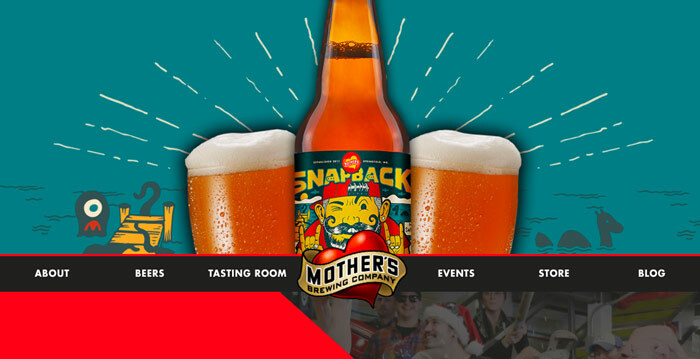 Mostly Serious had the pleasure of working with the great folks at Mother’s Brewing Company to reimagine their digital presence to enhance an updated brand identity. Somos una agencia especializada en la generación de LEADS. Nuestros servicios ayudan a las empresas a capturar clientes, prospectos y a desarrollar programas de fidelización a través de medios digitales.